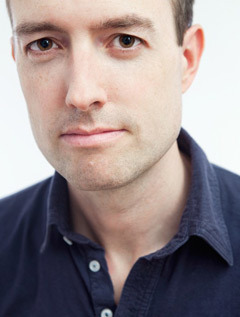 Adam Haslett is the author of three works of fiction: Imagine Me Gone, a finalist for the Pulitzer Prize and the National Book Critics Circle Award, and winner of the Los Angeles Times Book Award; the short story collection You Are Not a Stranger Here, also a finalist for the Pulitzer Prize and the National Book Award; and the novel Union Atlantic, winner of the Lambda Literary Award and shortlisted for the Commonwealth Prize. His books have been translated into eighteen languages, and his journalism on culture and politics have appeared in The Financial Times, Esquire, New York Magazine, The New Yorker, The Guardian, Der Spiegel, The Nation, and The Atlantic Monthly, among others. He has been awarded the Berlin Prize by the American Academy in Berlin, a Guggenheim fellowship, and the PEN/Malamud and PEN/Winship Awards. In 2016, he received the Strauss Living Award from the American Academy of Arts & Letters. A graduate of Swarthmore College, the Iowa Writers’ Workshop, and Yale Law School, he has been a visiting professor at the Iowa Writers’ Workshop and Columbia University. He lives in New York City.